Had an unlucky incident with some gravel? Are those trousers just too long or short in the leg? Is that sleeve length just not right? Our alteration service is highly recommended, whether it’s taking a few inches in or letting a few out, we can get it sorted as we know not everyone is a perfect fit! 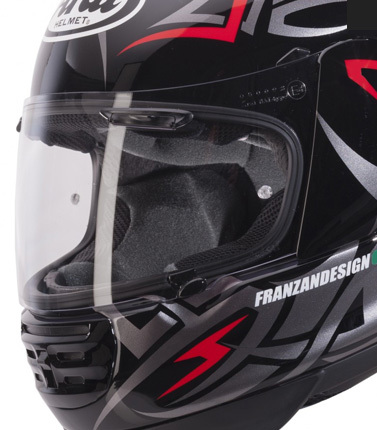 Our highly skilled tailor can alter, repair and customise pretty much anything! 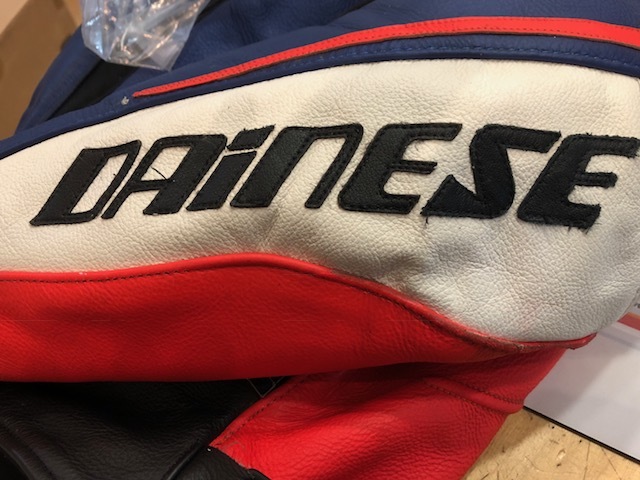 From leather to textiles, even a Dainese suit! To a very high standard, we don’t trust many people with other people’s garments but we do him! 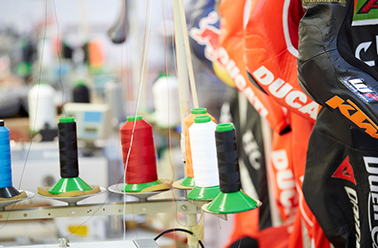 He can repair crash damaged leathers, textiles or patch up your track day suit and get you back on the road or track! 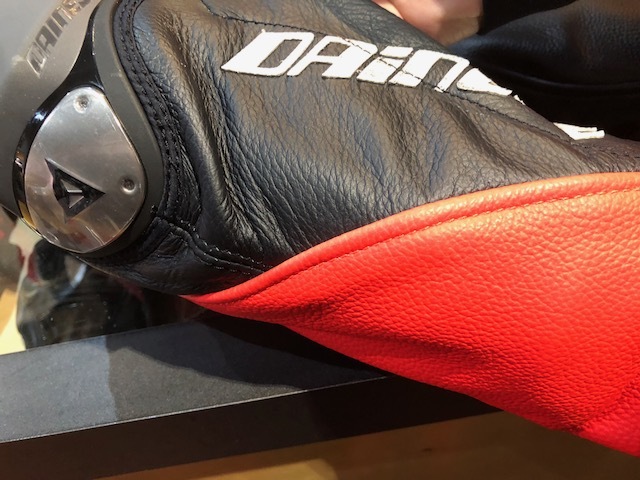 He can personalise your leathers by adding names, logos and designs, all done in leather in whatever colour and size combination you require. 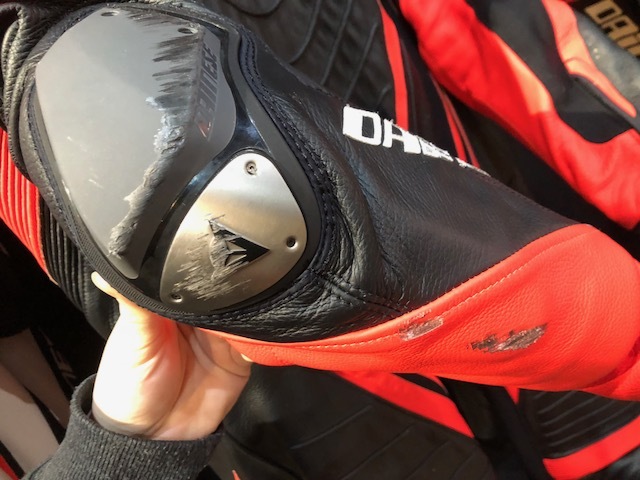 DAINESE FACTORY REPAIR also offer a factory repair service, so if you have got some gravel rash or some dented titanium we can send it back to the factory and get a factory finish repair. 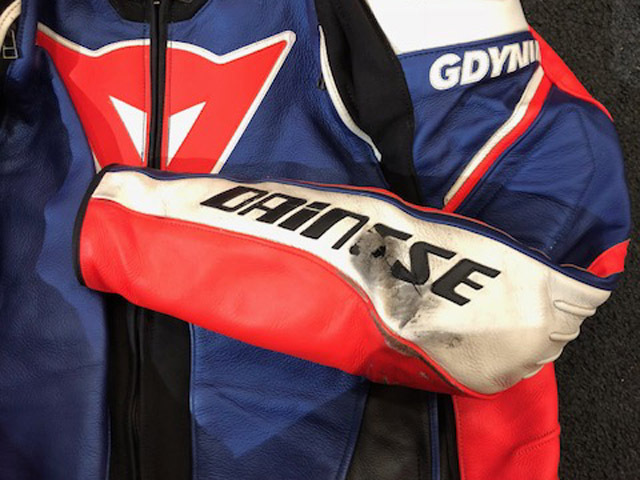 This service does take a little while longer but it’s a service Dainese offer alongside their 2 years warranty on their jackets, suits and trousers.